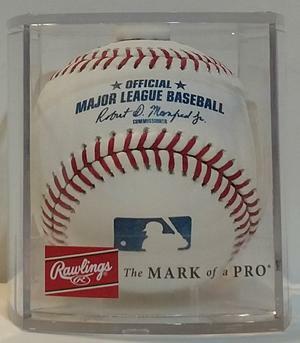 For over 25 years Rawlings has been the exclusive supplier of baseballs to the Major Leagues. Every Rawlings ROMLB baseball is carefully crafted with the finest materials available and assembled, weighed, measured, tested and inspected for the highest possible level of quality and consistency. It comes with a clear display case to protect your baseball for years to come.